Learning to live without gluten or wheat in my diet hasn’t been fun. It’s been a process of trial and error, finding out what works and what doesn’t. Especially in recipes that were once “tried and true” for my family. The hardest part was going without breads or bread products, especially for my youngest son. He missed them. So, learning to make substitutions, reading labels, and making all new recipes have become a way of life. It can be daunting because it seems like everything from bread to ice cream has gluten in it. If you do away with everything, what’s left to eat? The good news is there are plenty of ingredients you can substitute for gluten and wheat. Here’s a list of 50 gluten-free living substitution ideas you can use. 11. Wheat or gluten-free baking mixes are available online and in stores. Look for mixes for cakes, pie crusts, pizza crusts, tortillas, and crackers. 21. Look for gluten-free broths in your local store. 32. Go for the vino. Wine is grain free and lower in carbs than beer. Remember moderation in all things! 33. Chorizo for regular sausage. Many sausages are made with a good amount of wheat-based rusk. Our local Mexican grocery store even carries beef chorizo! What are some of your favorite substitutions for gluten or wheat? BE SURE TO PIN THIS TO YOUR FAVORITE BOARD FOR LATER! thank you for your comments. As I have several friends with differing gluten issues, rye has never come up for us. Each of them has eaten it without issue, including the one with full on celiac. But, if it bothers you, then by all means avoid it. As for the oats, you are correct that only “pure” oats are gluten free. However, the store bought cookies/oatcakes would actually say “gluten free” on them. If that is not there, we simply avoid them, as I am sure others would as well. Currently, the “gluten free” on the package is the standard. Whether research in this area can cause that to change for me later on, we will see. 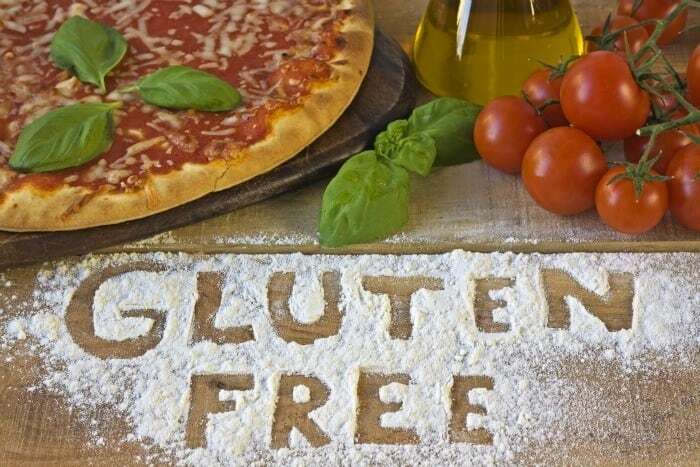 Again, I appreciate your comments…living gluten free is a different journey for everyone, and it’s great we can all learn together. Rice Krispies cereal has malt in it, therefore it also has wheat in it. The rice squares are wheat free. interesting! Thanks for letting me know. I don’t normally eat that cereal, but going to check the ingredient list now!